"The death of my "best friend, my mother" was a very difficult time for me and the thought of having to go to a funeral home to make my mother's final arrangements was more than I could bear. I knew moms wish was to be cremated. 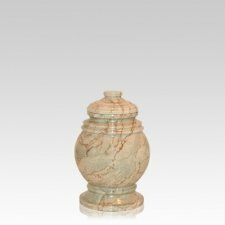 Hours after moms death I sat in tears at my computer when the thought entered my head to look online for a cremation urn... this is when I found your site. 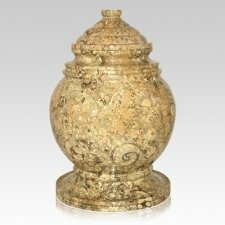 As I viewed all the cremation urns you offered I found that there were many beautiful urns that captured the essence of my mother's personality. The urn I chose is as natural as mom was in life. I am extremely grateful to the ease in which I was able to view your website, place my order and the speed in which I received mom's urn. Every day I look at that "beautiful urn of cherished memories"! Very truly yours, G. Linda Criscuolo"